The publication provides a general overview of carbon capture and storage (CCS) technology, then zooms into the Brazilian context. 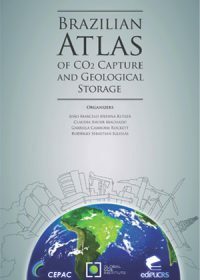 Brazil has an overall favorable situation regarding the potential for CO2 geological storage - this Atlas maps out the sources of CO2 emissions and the potential storage locations. A selection of case studies are included that describe current CCS activities within Brazil. The production of this Atlas was sponsored by the Global CCS Institute and represents the consolidation of nearly a decade of research and data gathering and compilation, carried out by a large number of professionals working in the CCS field in Brazil since 2007.